Where can I find the vanity or is it custom. - I like that it is closed off at floor. Floor Tile - Detainls on the tile, please? 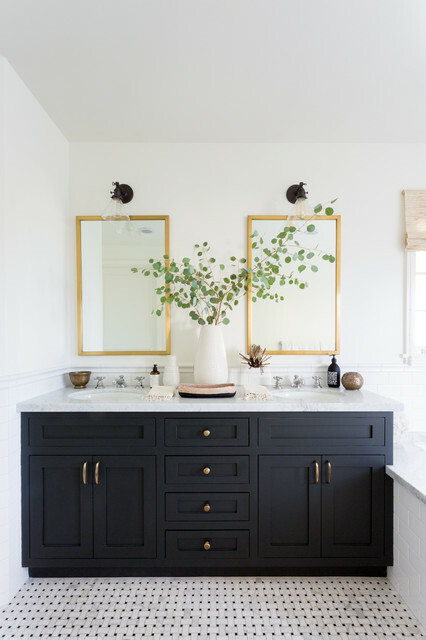 what is the paint used on this vanity? - Can you provide the brand and colour? It’s fantastic! Where is the toilet? - Love this bathroom! I was wondering where the toilet is in this bathroom. Is it opposite the vanity? What are the dimensions of the bathroom?